Editor's Quote: This utilitarian design is one of Raleigh's finest. 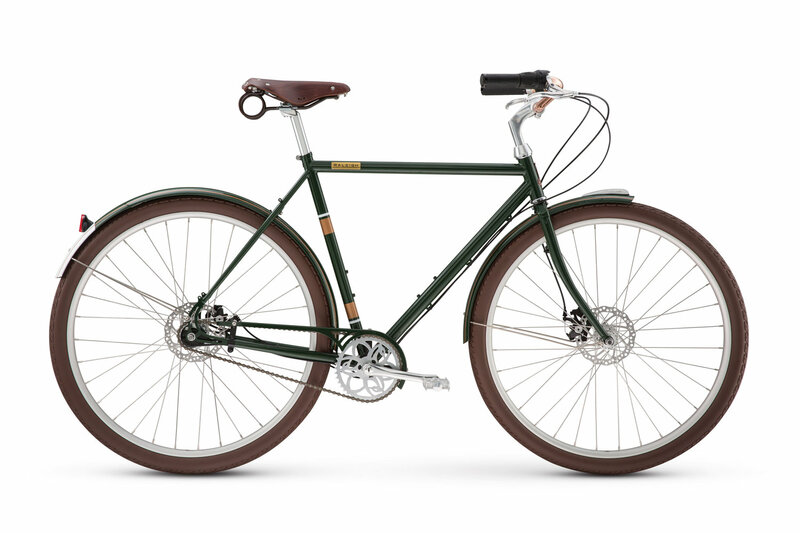 Featuring a classic steel frame with heritage-style copper handlebars and a vintage coil sprung leather saddle, the Tourist is a step up from your everyday commuter—it's a nod to Raleigh bikes of the '40s, '50s and '60s. But its 3-speed Surmey Archer gearing and disc breaks will make sure it rides like a modern dime, through any conditions. To view the Tourist, click here.